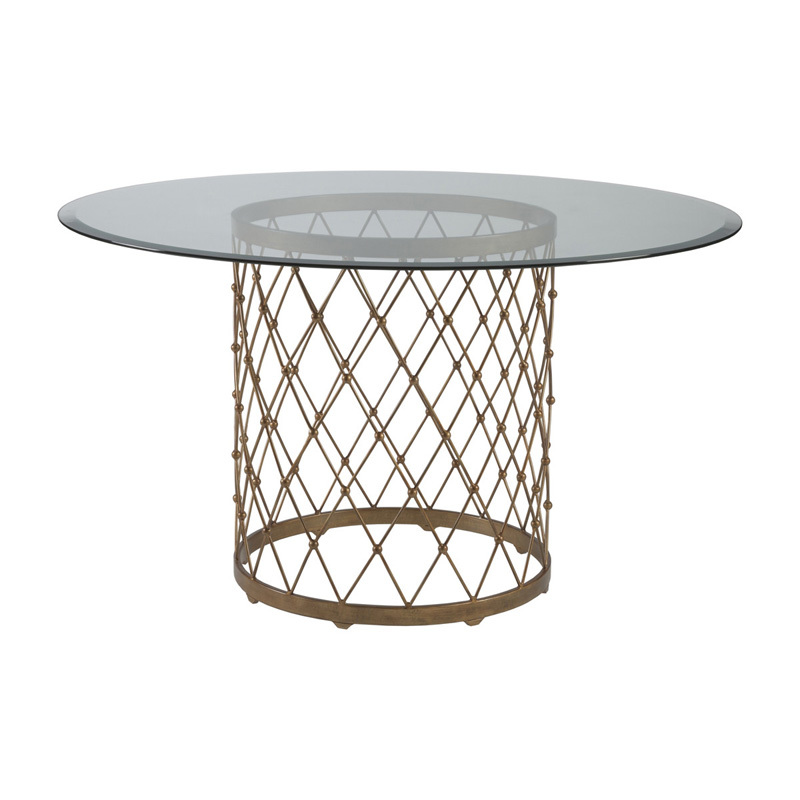 The Artistica Home 2009-953-46 Royere Round End Table is available in Hickory Park's, North Carolina Furniture Galleries. Hickory Park may be restricted from showing prices, however please select the Click For Quote button and Hickory Park Sales and Design Staff will reply or please call (828) 322-4440 for more information. 24W x 24D x 26H in. 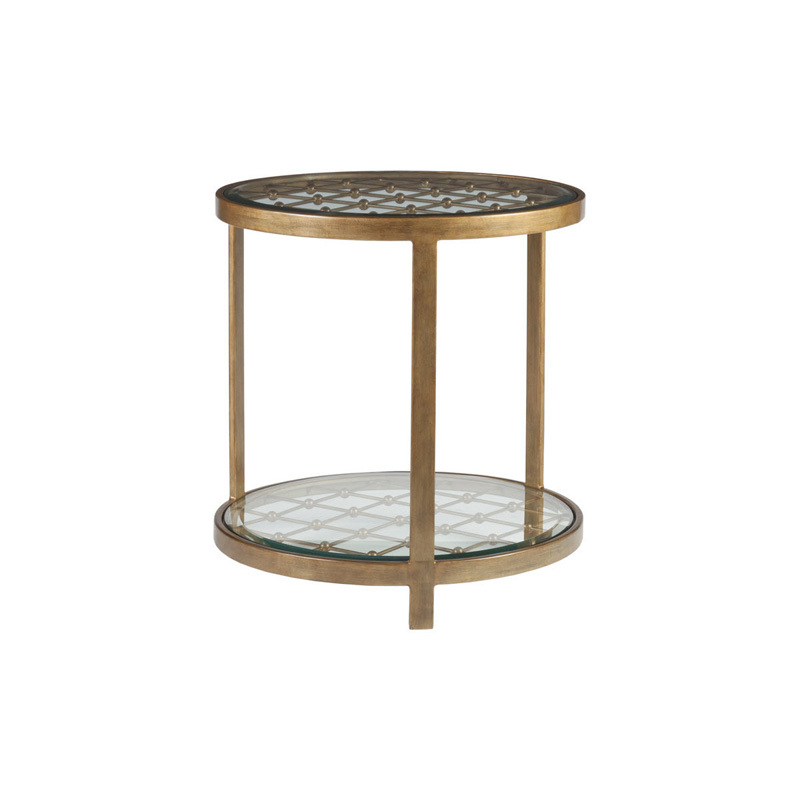 Classic transitional, vintage croisillon patterned base, crafted from hand-forged iron with an inset 1-inch beveled glass top and shelf. 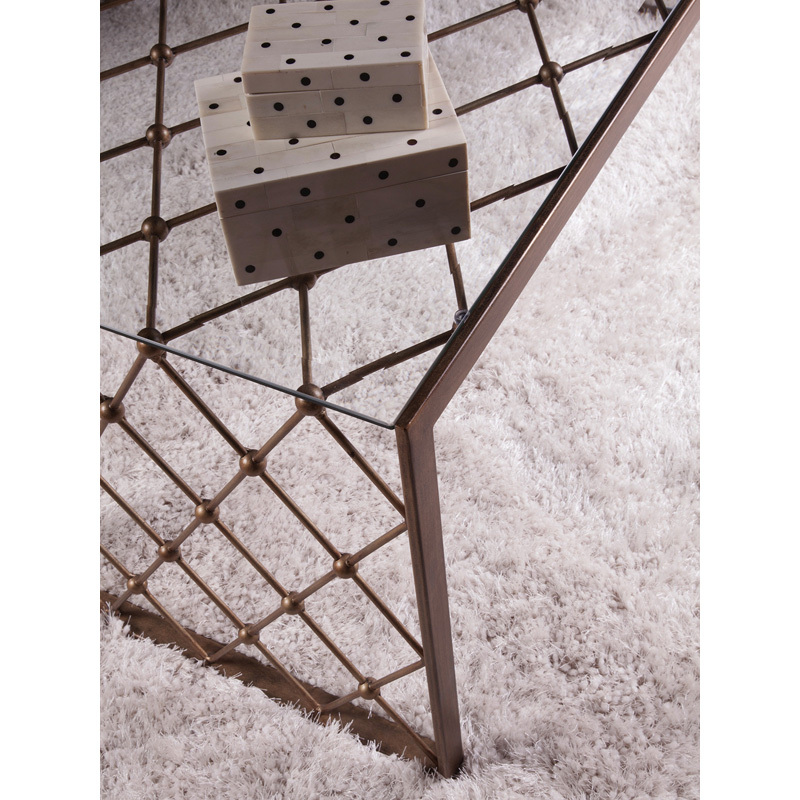 Available as shown in the Argento finish, an antiqued silver with gold undertones. 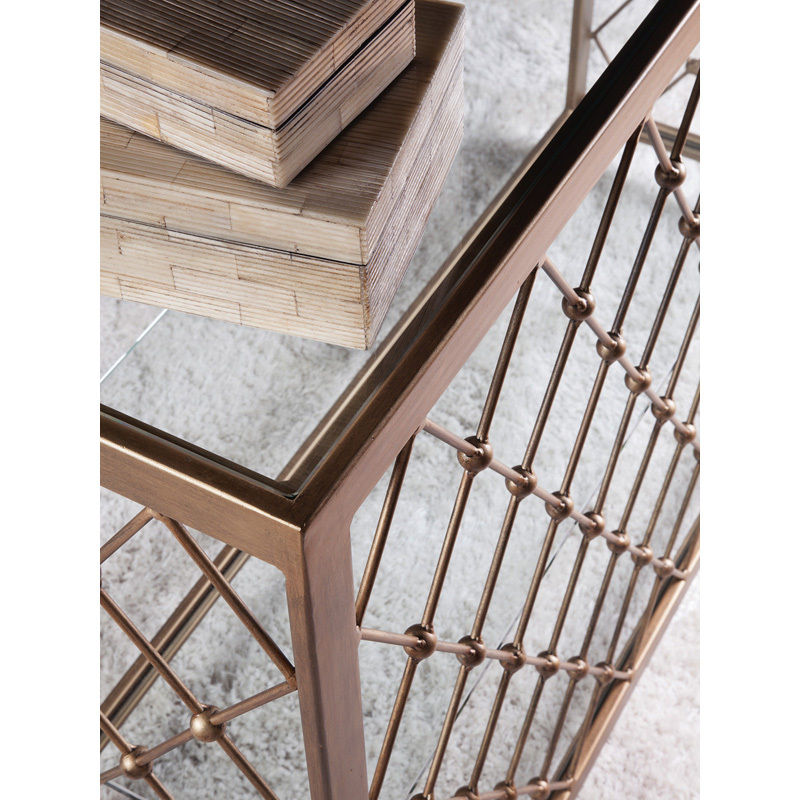 Also available in all Artistica Metal Designs finishes. 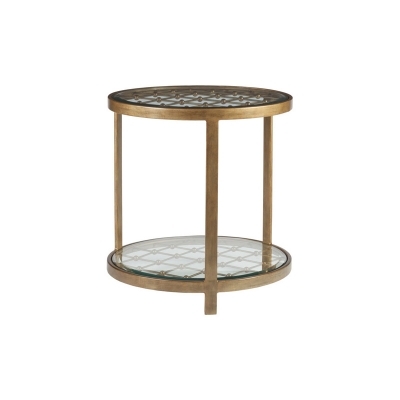 Click here to receive price quote for Round End Table 2009-953-46 item.